The owner of a gallery in Ohsweken, a village on the Six Nations of the Grand River First Nation, responded to a post on social media from Pikangikum's Eenchokay Birchstick School, asking for help to make sure students were properly clothed for the frigid winter weather. 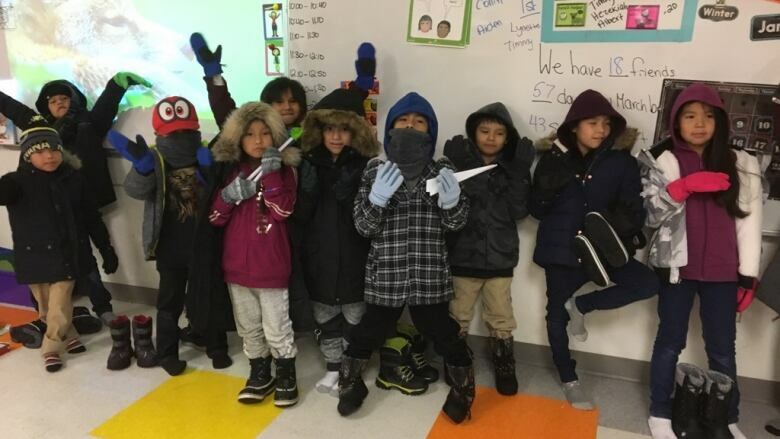 Children and teens in Pikangikum First Nation in Ontario's far north are sporting warm new snow suits this month thanks to donations from another First Nation in southern Ontario. Dakota Brant, who co-owns the Sapling and Flint Gallery in Ohsweken, a village on the Six Nations of the Grand River First Nation, responded to a post on social media from Pikangikum's Eenchokay Birchstick School, asking for help to make sure students were properly clothed for the frigid winter weather. Brant's company, which designs and sells jewelry, contributed 42 snowsuits to the school at a cost of more than $4,000, and other members of the Six Nations community chipped in another 28 suits. "We're both mothers," Brant said of herself and her sister, who co-owns the business with her. "I just don't think that there was a question that we think that when children need to be safe and warm, and there's a call-out put out there from another community ... there was no hesitating for us." "Everybody's child should be warm and safe," she added. Brant was able to find an online retailer that offered free shipping, reducing the cost of the donation, she said. The school specifically asked for new clothing, according to vice principal Jennifer Manitowabi, because it wanted quality goods that would withstand the harsh winters without needing repairs. The only shop in the community is the Northern Store, she said, and it's not always adequately stocked to meet every family's needs, nor are the prices accessible to everyone. "[The students would] come into the school off the bus, and I'd notice them only wearing a hoodie," she said. I'd say, "'Come with me to the office, and we're going to get you a jacket.' And typically they're expecting me to find something from the lost and found that might or might not fit them. But [in] this case, because of the donations, we're able to offer them brand new outfits." 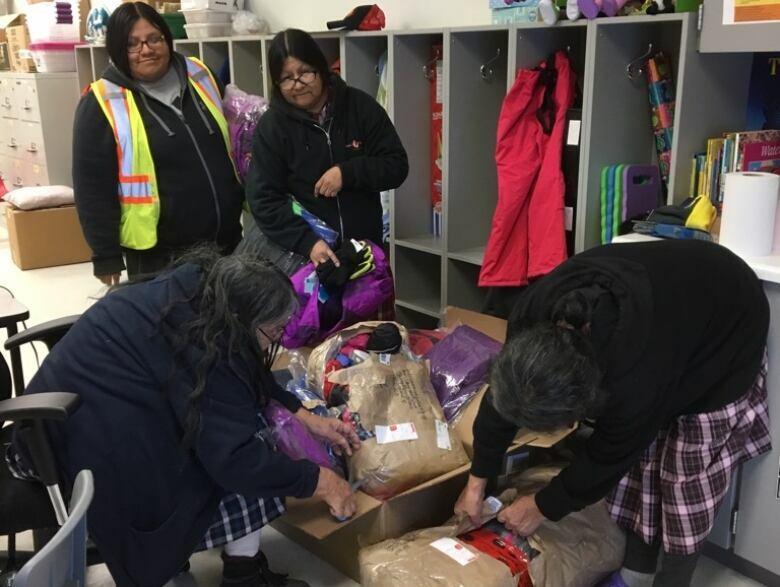 Being able to offer new clothing to students right after Christmas was especially gratifying, Manitowabi said, because some children shared with her that they had not received many gifts. "They were quite shy, but you could just see the joy in their smiles," she added of the students' reactions to the new clothes. "When I would tell them, "OK, pick out a hat and mitts,' and then further tell them, 'Now you get to pick out a jacket and ski pants to match.' And they almost couldn't believe me," she said. "They're like, 'That's too much.'" Another organization has also chipped in to help, and another six palettes-worth of clothing are on their way to the school, Manitowabi added.